Jess’s Top 10 Reasons Why I Missed My Deadline in 2015 – Good Morning, Good Morning! Here’s Jess’s Top 10 reasons she missed her deadline in 2015. 10. The computer was across the room, and my belly was in the way. 9. My heartburn was awful so I needed to drink a milkshake. 8. My doctors put me on hospital bedrest until my twins were born. 7. 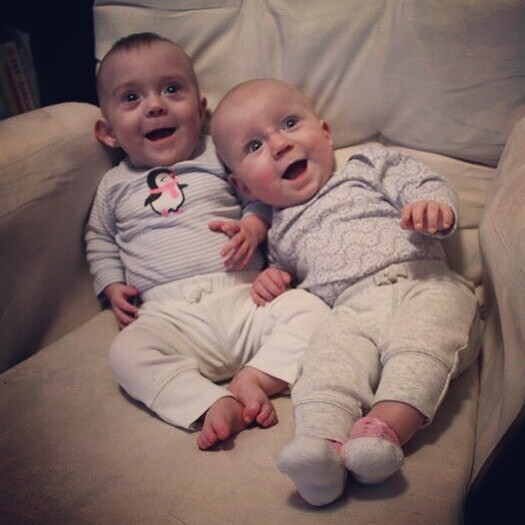 The twins don’t believe in deadlines either, though they wanted to start their lives 3 months early as overachievers. 6. I was in the ICU due to liver explosion (a true medical term). 5. I was in the NICU with the babies, watching them breathe and grow and generally be warrior women. 4. I was driving between two different NICUs because nothing in this life worth having comes easily. 3. Avery’s home now, so I lost staff of beautiful and talented nurses. 2. Victoria came home too, and my life just became a full-time juggling act. 1. I slept through it. Posted on January 2, 2016 January 2, 2016 by Jess	This entry was posted in Happy New Year. Bookmark the permalink.